User Recordings Playlists let you see pre-filtered lists of your visitors. With this feature, you'll be able to easily find the recordings that are the most meaningful to your optimization efforts! This playlist gives you immediate access to the customers who are the most likely to provide you with mission-critical data. 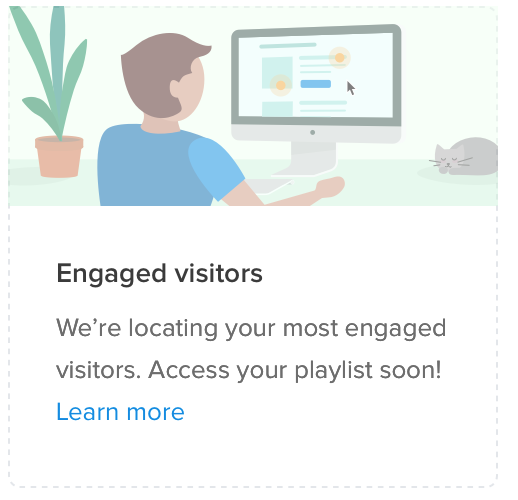 If you don't yet have access to your Engaged Visitors playlist, it means that we're currently recording the visitors that fit the criteria. In the meantime, explore this article that will help you drive more traffic to your website. These are recordings of all the mobile visitors who are using your website. This is a convenient filter that let you drill down into the mobile experience so you can see how your mobile site is performing. 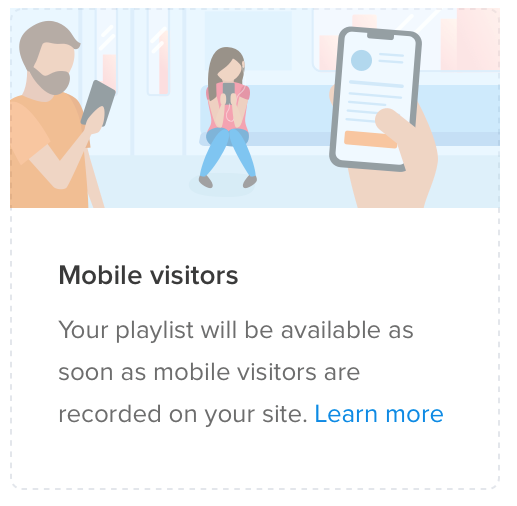 If you don't yet have access to your Mobile Visitors playlist, it means we are currently recording your mobile visitors. This playlist will be available as soon as we’ve captured Recordings of people who visited your site from their mobile device. While you wait, experiment with creating your own unique filters. This filtered playlist lets you see website visitors from the past week. Getting immediate access to recent recordings lets you see how people are responding to the most up-to-date version of your website. 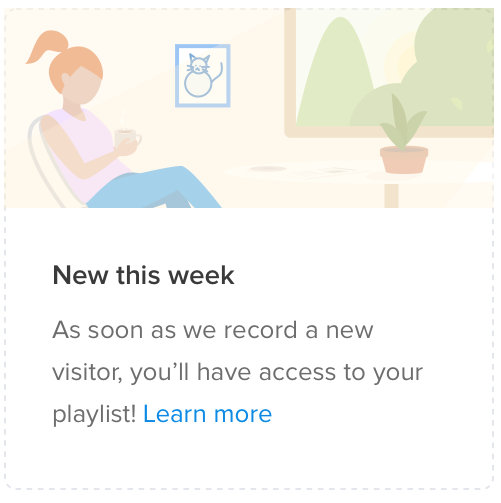 If you don't yet have access to your New This Week playlist, it means that we're in the middle of recording the newcomers on your site. In the interim, explore our tips on driving more traffic to your site.